Have you ever wondered what happens behind closed doors at a fashion magazine? Ever been particularly curious about the creative process at Vogue? Have you ever speculated as to how you may be able to get your foot in the door at such a place, or into the fashion industry as a whole? If you could ask an editor one thing, what would it be? I had wondered about these things, too. Over the course of my career, many additional questions had loomed in my mind, as well. I often learned the answers to these questions in the heat of the moment, by experiencing many different types of situations, working on photoshoots, and on various projects throughout the publishing world. I learned by doing and by observing on sets, often collaborating with many talented individuals who were kind enough to pass along their knowledge to me, and finally by creating my own photoshoots, learning by trial and error all the way. However, after I became a fashion editor, though the position builds upon some of the skills I had been honing as a stylist and photographer, I could find very little information regarding exactly what fashion editors do. Additionally, I am often asked similar questions about how one can produce photoshoots, go about finding jobs in the creative industry, or write a fashion story. That inspired me to open up my little world of “fashion editing” to you here, not only by sharing my own experiences, but the experiences and wisdom of some of the industry’s great professionals. For these reasons and more I was compelled to reach out to Virginia Smith, Market Director of Fashion & Accessories at Vogue Magazine. A senior editor, Virginia has been working her magic at Vogue for 15 years. Profoundly skilled at what she does, and highly influential in the fashion and art world, she is responsible for shaping much of our culture. Virginia attends runway show internationally, oversees the selection of fashion and accessories, helps conceptualize stories and edits the Last Looks Page. As an expert in her field, Virginia’s time-tested wisdom and insight into the fashion world is entrepreneurship gold. I’m sure, now, you can imagine my delight and surprise when she responded to my request for an interview with a “yes”! I was thrilled, not only for myself, but for every reader she was subsequently opening the doors to, by providing rare and incredibly insightful information for those of us who don’t generally have access to this world. Speaking with her and working on this post has been incredibly inspiring and enlightening, and I am beyond thrilled to pass along the opportunity for you to become as inspired as I have by Virginia’s story and insight. What follows are my favorite of her quotes taken from our conversation, edited for length and clarity. “Well, I’m definitely inspired by my boss, Anna. If I had a company to run, I would run it just like she runs Vogue. She is a constant inspiration. So, there you have it! The profound wisdom of a fashion editor icon! 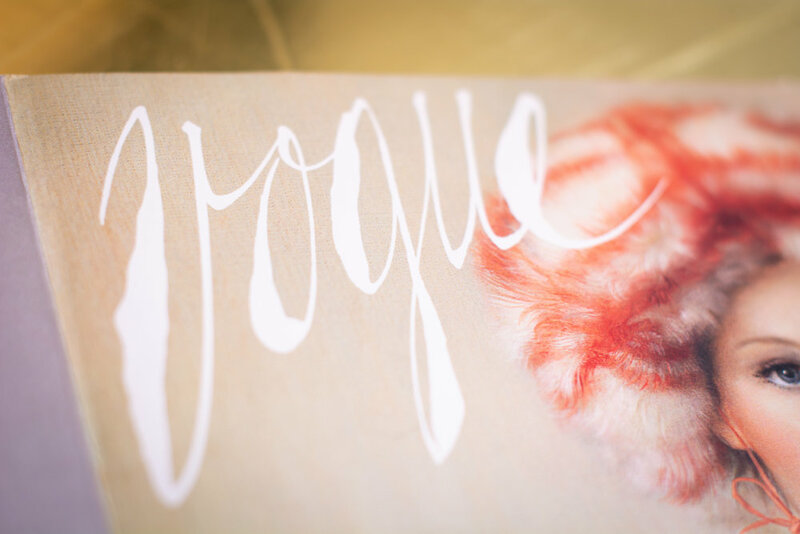 Enormous thank you to Virginia Smith for taking the time to share her expertise, and to Vogue altogether for allowing us this incredible peek into their fascinating world! Now, go fourth! Use this Knowledge! Be entrepreneurial! Be Creative! Be Courageous!